What is memory when it’s not necessary? Since I’m dead in the water (also known as sleep on the couch) right after my back-to-back-to-back news source (The Daily Show, Colbert Report and Rachel Maddow), the three shows provide me with the combination of comedy and news that I need for a balanced brain. Just recently Colbert gave me some food for thought during his “The Word” segment. The topic was transactive memory or “a system through which groups collectively encode, store and retrieve knowledge.” This is a great idea for someone like me who has a memory like a sieve. Seriously, I forgot the word campaign the other day, who does that? 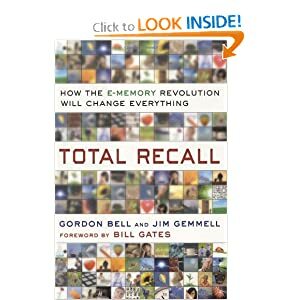 Back on topic now, Colbert then brought up the idea of memory in the age of Google, based on a report from Betsy Sparrow, which showed that people are increasingly relying on technology for their memories. Well lo and behold, as I was picking up books for graduate school (one week and counting!) I saw this book on the discount table. So if you’ll excuse me, it’s time for me to curl up with a good book.